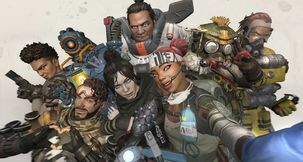 Lines are crossed – but is one of them the line into being a good game? When push comes to shove, Street Fighter and Tekken really have little in common past the sweeping genre conventions they belong to. It’s 2D versus 3D, special moves versus commands, and anime stylings versus over-the-top but realistic-looking CGI – the two are disparate. 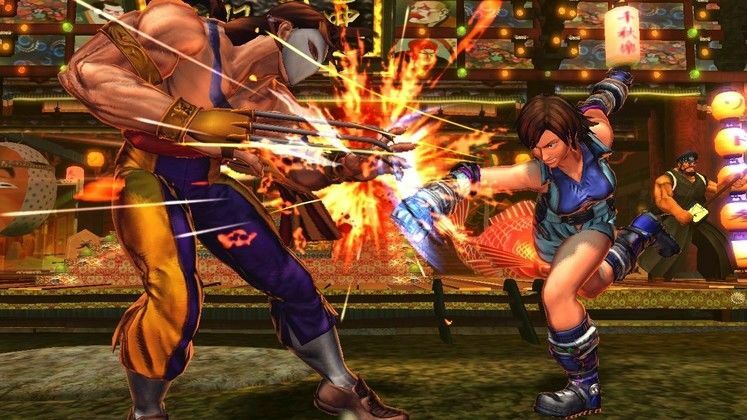 They seem a strange choice for a cross-over, and one that could easily go wrong – but Capcom’s team have clearly though very carefully about how to do both franchises justice and done them both proud in Street Fighter X Tekken. Capcom have stuck to what they already knew best, keeping the core of the game thoroughly Street Fighter. 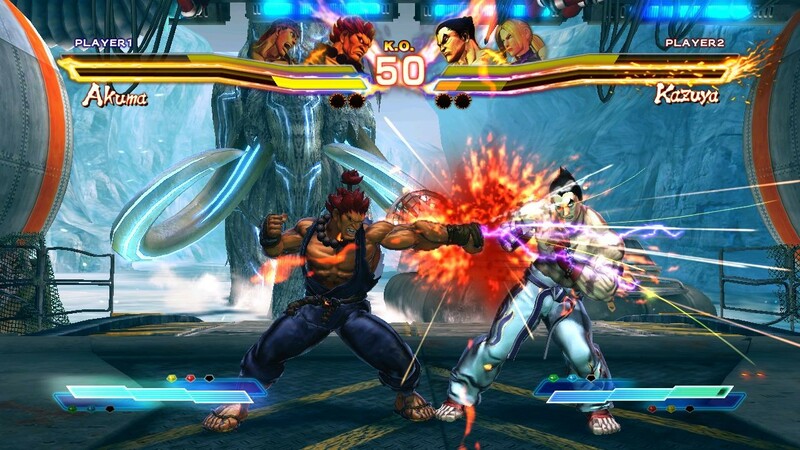 Still running on a modified and improved version of the Street Fighter IV engine, the game features a look, feel and leniency on inputs that was established in the genre-reviving fourth ‘proper’ game in the main-line Street Fighter series. Lots of the cast of characters on the Street Fighter side of the game are pulled straight from SF4, but fans will be pleased to know they’ve all had tweaks and changes. With the game intended as a celebration of the whole of the series, it only makes sense for Chun-Li’s commands to be those from Street Fighter 3: Third Strike, for instance – one of the most popular iterations of her move set. Ryu, meanwhile, has regained his axe-kick, a big old command-inputted boot to the chest, while Ken has his neutral throw once again – also from Third Strike. Little tweaks like this are a great reminder that the series is more than Street Fighter IV. Street Fighter’s side scrolling brawler brother Final Fight gets a lot of love, too, with Hugo, Poison and Rolento – all Final Fight bosses who crossed over to become Street Fighter characters – joining the fray. The 19-strong Street Fighter cast is rounded out by 19 others from the Tekken series – but that isn’t all that’s been borrowed. 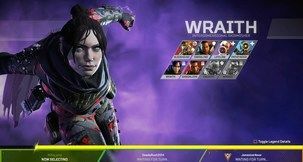 The core mechanic of the game is tag, and the ins and outs of how this works resembles Tekken Tag Tournament more than Capcom’s own fighting games – if one character is knocked out the round is over regardless of how much health your second character has, for instance. While each character has a set ‘partner’, they can be paired together in any way you wish – if you want a team of sworn enemies like Ryu and Bison, or a cross-series team of Cammy and Nina, you can. The synergy of how different characters fit together is likely to become a big deal for people who want to play competitively on or offline. Tagging is handled using the buttons that were once reserved for Street Fighter IV’s Focus Attack, and while tagging can be used simply to change characters, it can also be used mid-combo and to land awesome follow-ups by more experienced players. Tagging has a deep as the focus attack was, with the added bonus that you now have to manage the health of two characters carefully and try to place your tags into combos rather than tag ‘raw’ – as doing so leaves you open for attack. The influence of Tekken on the game is subversive to what’s normal for Street Fighter. Gone are anime-style endings full of painted scenes for Arcade Mode, for instance – you’re now treated to a fully animated CGI ending, Tekken style – though it seems an oversight that there’s no ‘Gallery’ mode to watch these again or see things like concept art of how the Tekken characters were brought to life in the Street Fighter style. In gameplay terms, a simplistic juggle system inspired by Tekken’s has been rather elegantly slid into the SF4 engine and fits like a glove. 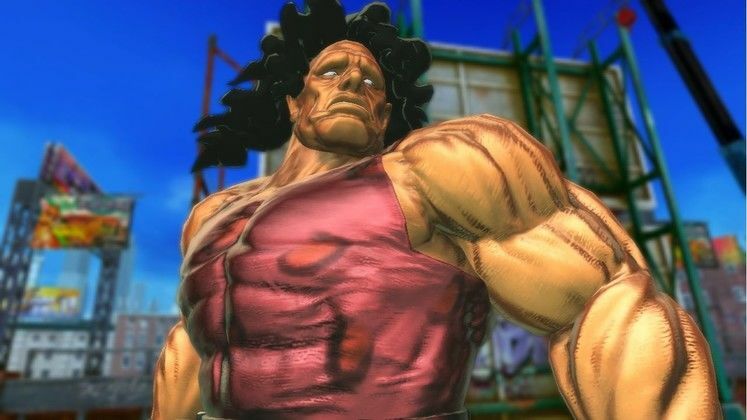 There are strict limits on how much you can juggle, and SF4’s damage scaling which prevents life-ending one-shot combos are still in place, but the juggle system and the tag system combine to allow you to do some great combos. It’s a system with depth, and one that centres on your careful management and usage of your Super Meter at a higher level more than any SF title since Third Strike. Super Meter is split into three blocks, and one of those three can give you an EX move, or tag mid-move to get you out of a hairy situation or allow for combo extension. Using two at once will kick off a super art, while all three activate the Cross Art or Cross Assault – one command makes both your characters do their super together for massive damage, while the other brings your partner on-screen to make the game 2-on-1 for a limited time. With the high-damage Ultra Combo comeback mechanic gone, you’re now left with one meter to manage, and a flashy super move, Cross Art or Cross Assault might not be as cost effective as merely doing a few EX moves or mid-move character tags. Street Fighter X Tekken is a weird beast, though, and for all that deep, slightly unfriendly meter-management there’s plenty for beginners, too. Inputs have been simplified further, meaning no more ‘double’ motions for Super Arts, and while traditional SF ‘links’ exist for combos there’s a Marvel vs. Capcom 3 styled quick combo which involves hitting Light, Medium, Heavy, Heavy in quick succession – the timing is the same and it’ll always hit with every member of the cast. The quick combos lead into a tag and have implications for more serious players, but they also mean anyone can pull off a cool-looking combo with ease. The Tekken cast meanwhile have links and moves that closely resemble – or are identical – to their inputs on the four-button Tekken games, making them easier for Tekken fans to pick up and play. The big introduction to make the game easier to understand and customize come in the ‘gem’ system. Adding a little RPG-like flair to your fighter, Gems can be set on each character and are property-augmenting buffs with activation conditions. A basic gem might increase a character’s power output by 10% for 15 seconds – but only after you land 5 normal moves. Gems with higher buffs have higher activation requirements, so it’s a risk-reward system. 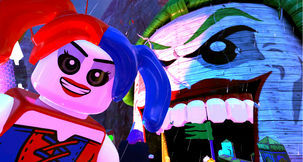 Gems allow players to figure out and customize a character to fit their play style better. My Cammy has me using a whole lot of meter, so I equip gems which give me a boost to how much meter I acquire, but there’s also defensive, offensive, speed and health-based gems. When a gem is on, it’s obvious in battle – each category of gem type is colour coded, and that colour glow will show on your character. If you see an already high-damage output character like Zangief or Marduk glowing red with an offensive gem, go on the defensive! The final category of gems are ‘always on’ assist gems. These debuff your attack power for the entirety of a match, but also simplify the input commands for beginners, meaning pulling off a Shoryuken can be as simple as holding a direction and pressing a button. One gem even lets you automatically escape throws – but at the cost of a block of your Super Meter each time it activates. The gem system isn’t a game changer, but it does add another layer of depth to an already very deep game. On one hand it can be used to simplify things for beginners, but it can just as easily be used to make the system more complicated and make your team of choice even more deadly. Gems won’t decide a match, but they do help and the breadth of tactical options available through them is massive. One concern right now is how carrying gems will be integrated into tournaments – but Capcom promises a tournament patch for the game a little further down the line. That’s a lot of mechanics in and out of battle, but Capcom have still offered up a great slate of modes, too. Arcade Mode is the Street Fighter standard, a series of battles followed by a rival match and a couple of bosses, but the victory here is in the array of multiplayer options on offer. You can fight one-on-one, two-on-two, two-on-one – any combination you fancy – on or offline. Two-vs.-two play in particular is really satisfying, leading to moments of nudging your ally – or screaming at them - as you tag them into action – it works great. There’s also Scramble Mode, a party mode which has four characters on screen at once. It’s all a bit Smash Bros, and quite mental – but very fun. Strategy does go out of the window somewhat here, though. The main Tutorial teaches you the core mechanics, but it’s also backed up by two other modes. Trials return from SF4, giving you 20 increasingly difficult commands to pull off with each character to help you to get to know them better, while a new Challenge mode offers 20 matches with challenging conditions which include beating opponents with regenerating health or winning without any special moves. These modes are welcome, but it still feels a little lacking in places. 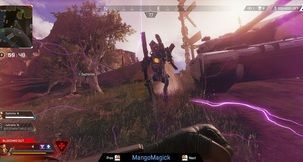 There’s no way to ‘see’ what the game wants you to do in Trial mode, for instance – just a cold list of commands to do – giving you no indication of the timing. Some training mode features are patented – why Capcom’s training modes are always lacking – but they happen to be patented by Namco, who Capcom are partnered with for this game – so I can’t help wondering why they’re still absent. Training mode is much improved, though, with more options including ‘Briefing room’, an online version that lets you practice against another player outside of the constraints of a match. I for one know I’ll be using this a lot. The usual suite of online modes is included, from ranked match to endless battle and replay mode, though it is worth noting it was all pretty sketchy pre-launch. Super Street Fighter IV was, too, so I’m willing to give them the benefit of the doubt – but will update this if it doesn’t significantly improve post-launch. The game looks sharper, more colourful and vibrant than Street Fighter IV, and while there are only a few stages each one is dynamic and changes significantly over the course of a match. Charm and fan service for both Street Fighter and Tekken fans are squeezed into every corner of every stage, and even the DLC costumes will involve ‘swaps’ – dressing Tekken characters up as SF folks and the reverse. In general it’s clear that a lot of love went into this game – a game that Producer Yoshinori Ono describes as a ‘festival’ – and that makes it more exciting and endearing than I ever would’ve thought possible – especially considering that for all my love for Street Fighter, Tekken is something I know next to nothing about. 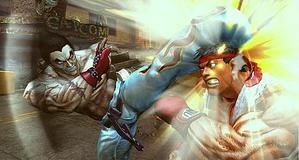 I’m still playing Super Street Fighter IV: Arcade Edition to this day – and will Street Fighter X Tekken replace that? No, probably not – you can’t beat a bit of one-on-one, slower paced, tense Street Fighter action, but this game is an excellent spin-off – an excellent change of flavour and pace that’s incredibly fun and far easier to pick up. When this game was announced I wondered why they didn’t just make Street Fighter V, or Alpha 4 instead – but now I know. This game is a different beast, meant to compliment and stand alongside Street Fighter IV as an intensely over-the-top and above all else approachable and fun experience – but it also maintains the depth. Strange question marks over weirdly simple missing features like the gallery or the need for more training options aren’t enough to mar this experience. In the end, it’s properly, wonderfully creative and brilliant – and proves that even the most disparate of series can be bedfellows if executed well. Figuring out – and nailing – my first big damage combo for the first time. Also, Zangief and Rufus’ team entrance. My heroes!